14-gauge vertical stays, makes this the toughest 2” tube gate available. They come standard powder coated in green to withstand the elements and provide a durable finish. 4' x 60" Rancher Gate 38 lbs. 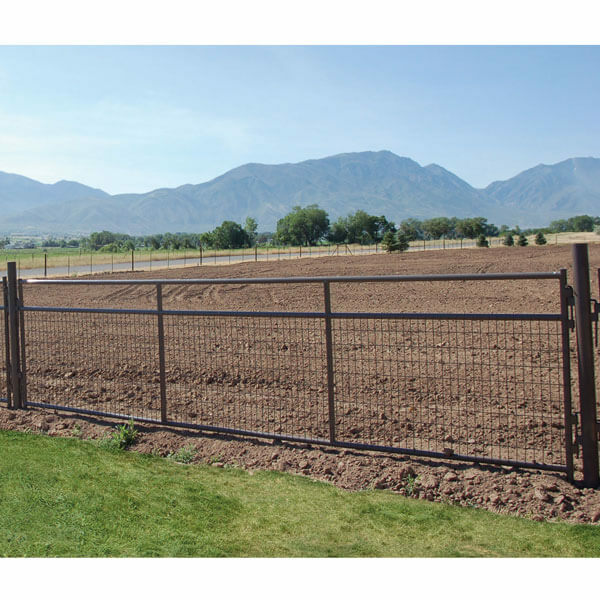 031-00006 6' x 60" Rancher Gate 54 lbs. 031-00010 10' x 60" Rancher Gate 78 lbs. 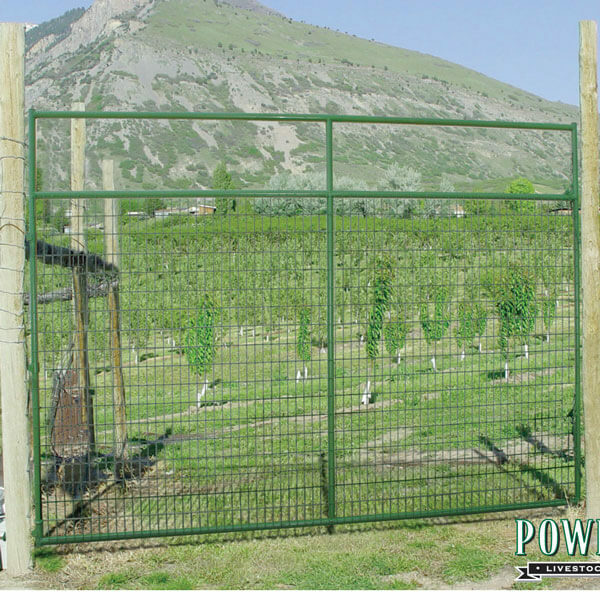 031-00012 12' x 60" Rancher Gate 100 lbs. 031-00014 14' x 60" Rancher Gate 116 lbs. 16' x 60" Rancher Gate 132 lbs.